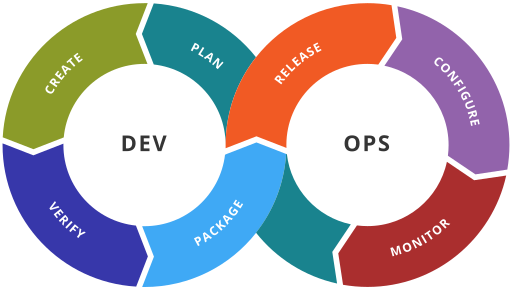 What is DevOps? Is it a person? A tool? Maybe a culture? Or all of the above? My name is Mikaela Eriksson and I am studying my last year to become an engineer in IT with a master in HCI. This autumn I will do my master thesis around the subject of DevOps and is fortunate to have Åsa Cajander as my subject reviewer. The project will be based on interviews held with people that are either working with or have thought about working with DevOps and especially focus on peoples views and feelings on the term. After just a couple of weeks of research I can say that DevOps is without definition. For some companies it is a person, an engineer that knows how to ”make a process more DevOps”, for others it is about implementing a specific tool that helps the process to be more agile or a culture that is about renewing peoples way of thinking. However, it is still said to bring good results and productivity to a company. How can a term that is interpreted differently and always evolving be of success where it sets its foot, or is it just that people say that they use this ”so called DevOps” to be cool on the market and that in real life the people within the process does not like it at all? At the end of this project, in January next year sometime, I hope to have the answer to this. To see what the common denominators are between the different organisations and what makes one group more successful than another, and most importantly, how DevOps perceived by the people working with it. I will show my discoveries and research with you on this blog www.htogroup.org along the way!